New York startup Spatial debuted an augmented-reality conferencing system that puts collaborators in a setting that’s “part video conference, part futuristic 3-D white board,” said Janko Roettgers in Variety.com. The technology was inspired by movies with sci-fi interfaces such as Minority Report. 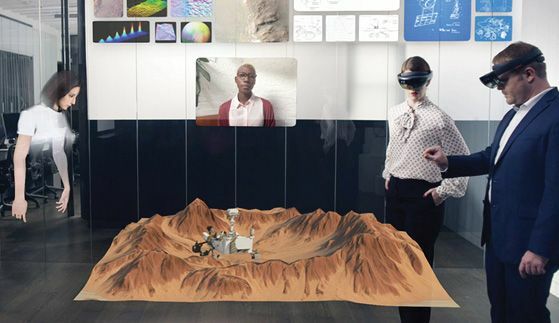 “We wondered,” said co-founder Anand Agarawala, “How can we bring this to normal people?” The “3-D workspace” uses augmented-reality headsets such as Microsoft’s HoloLens. Spatial builds 3-D avatars of participants from two-dimensional photos. The avatars share virtual spaces, with walls where documents or images can be placed for discussions. Key customers such as Microsoft are getting Spatial’s software first, ahead of a broader release.